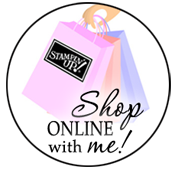 I wanted to show you another adorable sample I made using the Animal Outings stamp set. 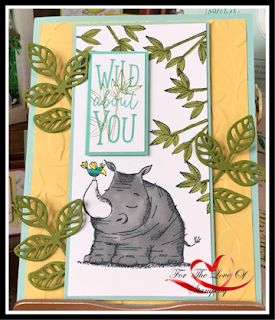 The rhino was colored with the light smokey slate Stampin' Blends. Also used on this card is the Florish Thinlits and the Layered Leaves textured impression embossing folder - it pairs perfectly with this stamp set.